How and when to hire a divorce lawyer? You have decided to divorce? Finding the right lawyer is only one part of the divorce process. First of all, don’t assume you need a lawyer as some divorces don’t require an adversarial legal process in some states (such as California), but you can hire a mediator instead. Spousal support, child support and asset divisions follow rigid guidelines in many states and can be calculated with simple and inexpensive programs that can serve as the basis for mediation. 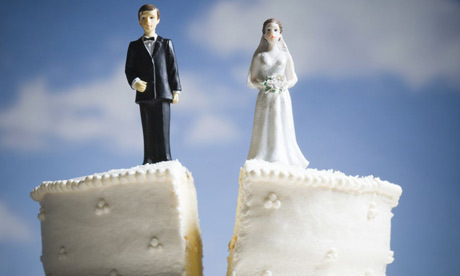 Consider using a divorce mediator instead of or in addition to a divorce lawyer. They can help resolve issues outside a courtroom, and usually at a significantly lower cost. Many courts now require mediation before setting a final hearing. In Texas you are obliged to participate in mediation whether you chose it or not. Going to mediation without lawyers is a waste of time. If you can’t resolve your issues on your own, a mediator won’t do it for you as he or she has no authority to force anything to happen and there are no consequences. Lawyers on one or both sides provide the extra push that makes mediation successful. Mutually agree with your spouse that you both will take time to reconsider any steps that will materially affect either of your financial situations without giving each other notice and reasonable time to respond. Read as much as you can on the divorce laws of your state. All laws, forms and procedures can be found on the Web. First of all, call your state bar association to basic information on referral number and online guides. Ask your friends and family for names of lawyers they have used and that they trust. Think about do you want an aggressive attorney or one who will simply put the paperwork through? Never hire the first lawyer you get recommended, but interview at least couple of family law attorneys before making a decision. The divorce lawyer you take into consideration should have substantial experience when it comes to divorces and divorce laws in your state. Additionally, the lawyer you choose, should practice primarily in the field of divorce law and the experienced divorce lawyer will know what to expect of the judges in your jurisdiction. Don’t forget to ask how much the divorce will cost you and how long it will take. Also keep in mind that these are estimates based on the lawyer’s experience and the information you have provided to them. There could be some additional expenses due to your spouse and their lawyer. Make sure you get a computer-savvy lawyer. Lawyers usually charge by the hour, so by picking one who can use the computer will make your expenses lower in the end. Find out what his or her hourly rate is and whether they have up front retainer and if any portion of the retainer is refundable if it is not used. Also, one of the most important things is creating a strategy with your lawyer – outline clearly the actions need to be taken and this will help you save the money. It is very important that your divorce attorney is accessible and prompt in responding to your phone calls, emails, and requests for meetings. While all the above are important, the thing that matters the most is whether you are comfortable with that attorney and are you confident in their abilities? If the answer is anything other than a yes without any doubts, you should keep looking. Your divorce is too important to entrust to someone who you do not trust completely. This entry was tagged attorney, child support, divorce, divorce laws, diy, hiring a lawyer, how to divorce, lawyer, marriage, spousal support. Bookmark the permalink.